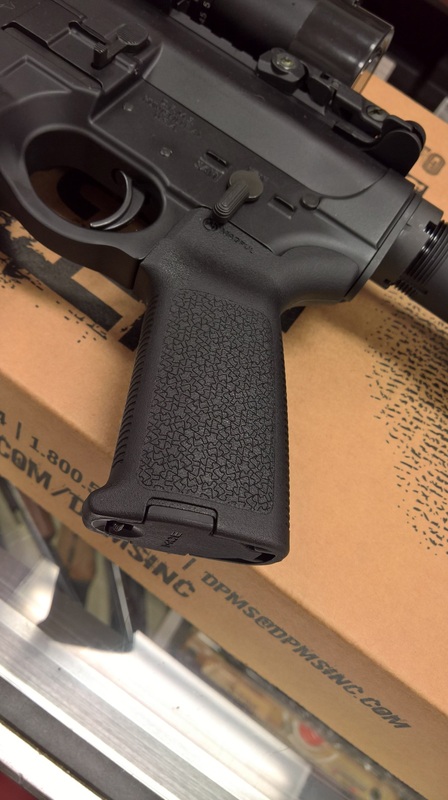 I ran into this rifle almost a year ago, during the holiday shopping season. Jim - my store manager at the time - bought one for himself, and insisted that we get a couple for the store. I eyed it for myself at the time, but with so many guns and so little time to shoot them, I decided to pass - and regretted it ever since. 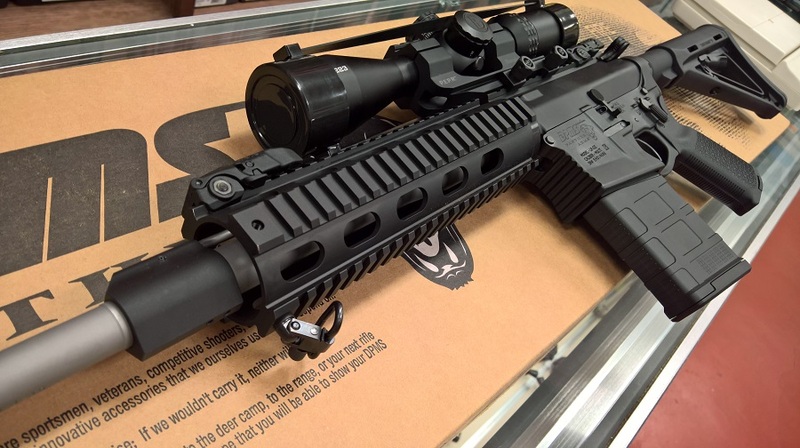 So when a salesperson from one of my distributors called and told me that he has three on allocation (these rifles are so rare that they never go into open inventories - salespeople call their customers and offer it to them in person) - I decided that this time I will get one for myself - and a few for stock. 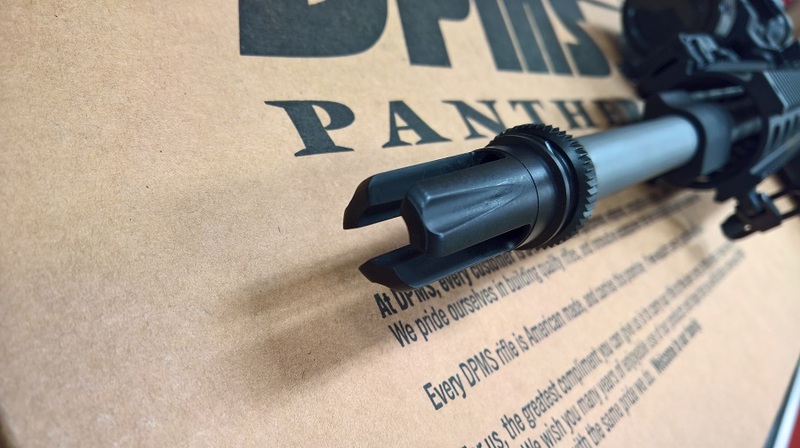 I was experimenting with Alexandria Pro-FAB rifles at the same time, so DPMS came quite handy - both as a source of parts, as well as a reference point in accuracy comparisons. 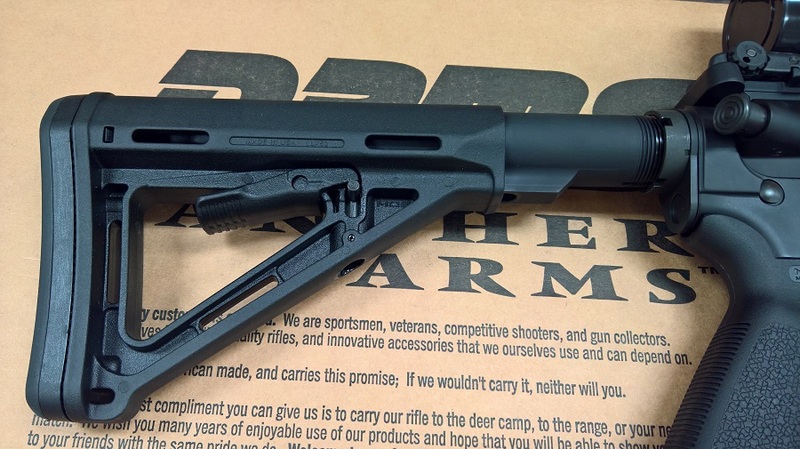 The rifle features a free-floating handguard, a very nice trigger, Magpul furniture and BUIS sights. 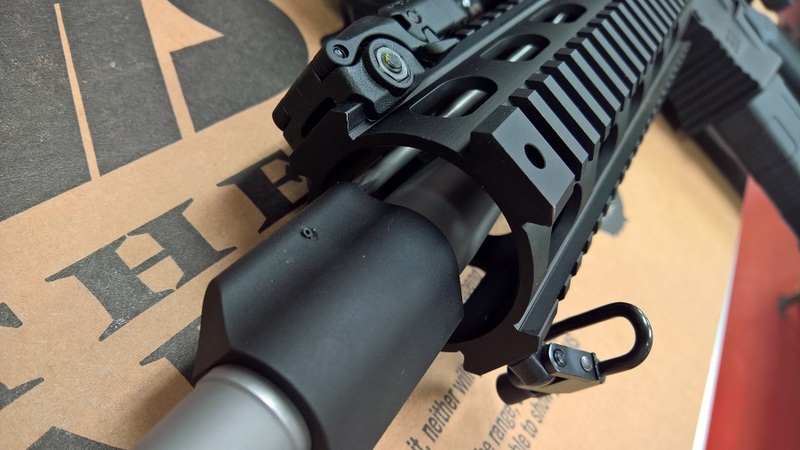 It has a 16" barrel in matte stainless. 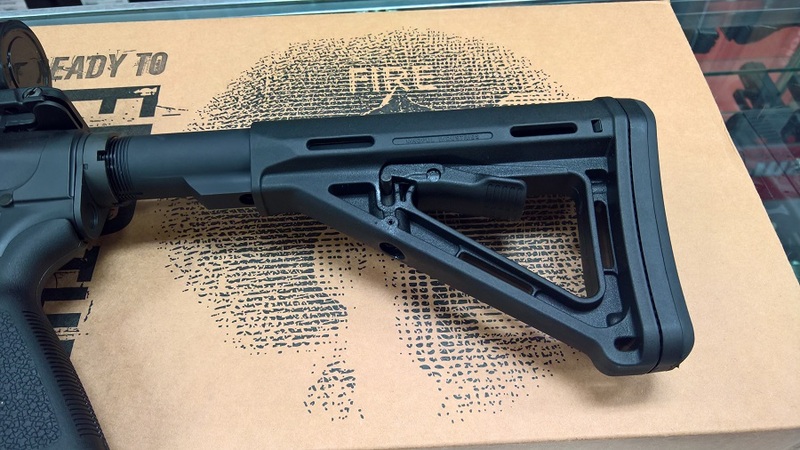 The trigger pull is on the lighter sight, so not so light as to make it feel like a proper match rifle. 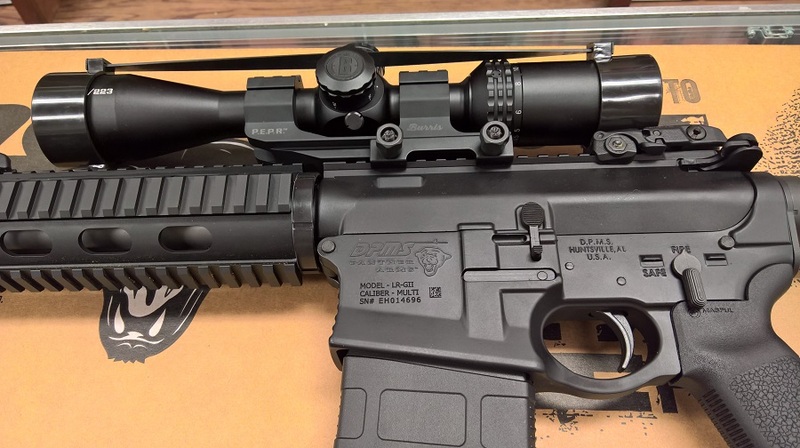 I outfitted the rifle with Bushnell AR223 scope mounted on Burris P.E.R.P. I have two of these right now, and ordered a few more for myself. 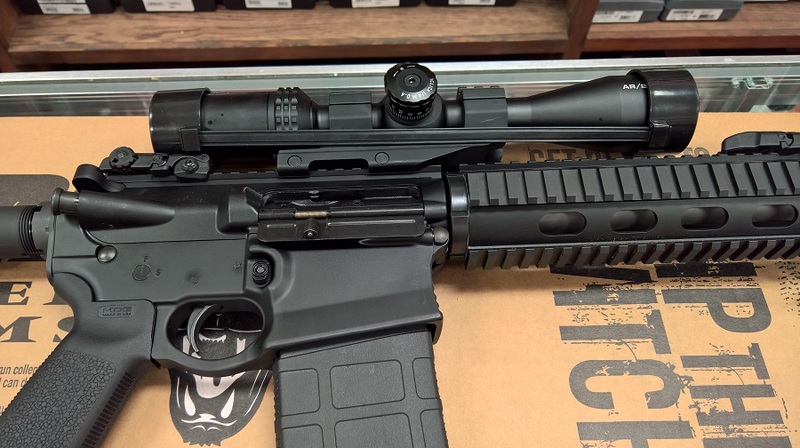 The optic is very clear, bright, and with the top magnification of 18x you don't need a spotting scope to at least 200 yards. It has a side parallax which is adjustable from 10 yards to infinity. 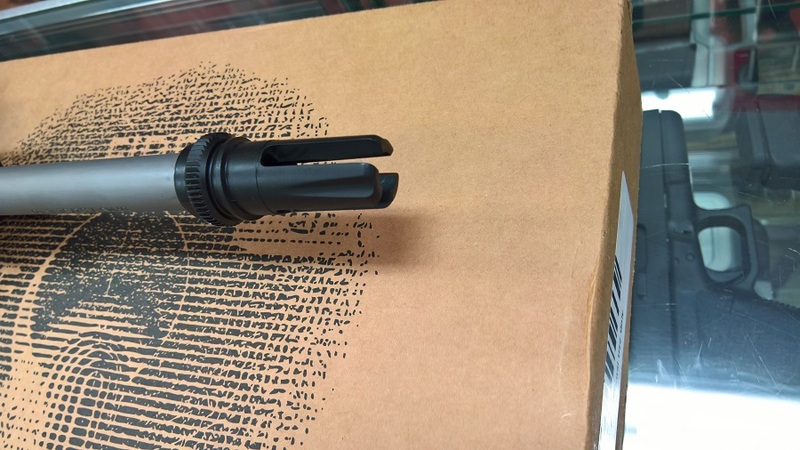 And it is a fraction of price of a similar scope from Leupold. 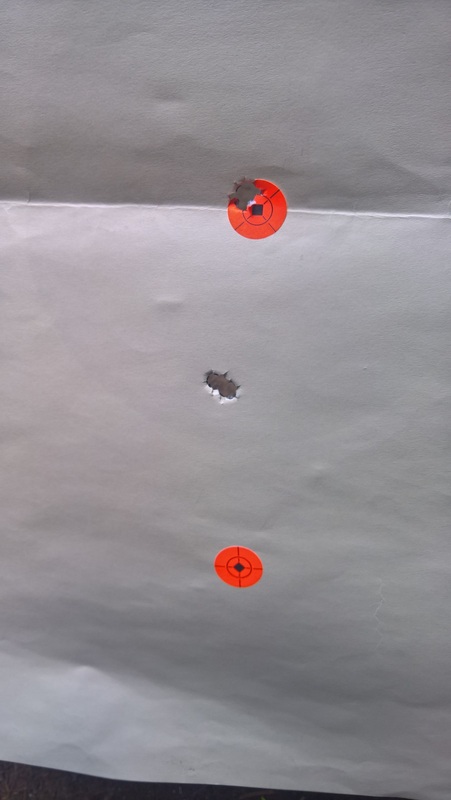 I zeroed the rifle at 25 yards, and it was producing one caliber diameter holes with the cheap 147gr PMC loads, so I had great expectation for shooting it at 100 yards. Unfortunately, the groups at 100 yards with PMC were far, far bigger than simple linear extrapolation: 5 shot groups were between 3" and 4". 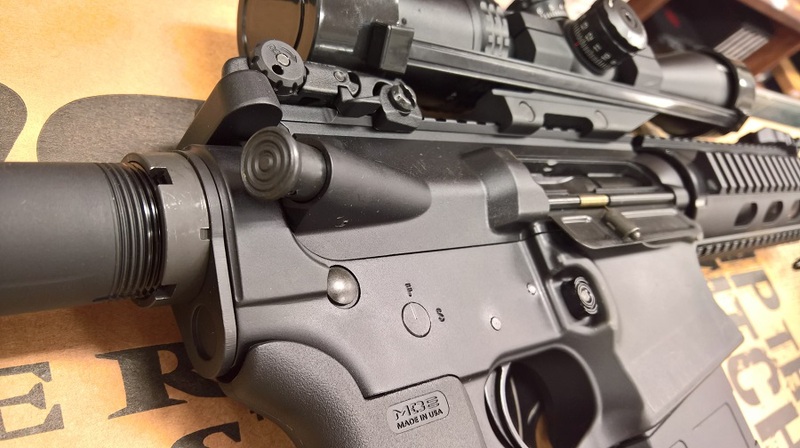 This is probably because the 10" twist of the barrel is too fast for the lighter bullet, so it overspins and loses stability. Magtech "sniper" ammunition with 168gr bullet did a lot better - the groups were around 1.5". 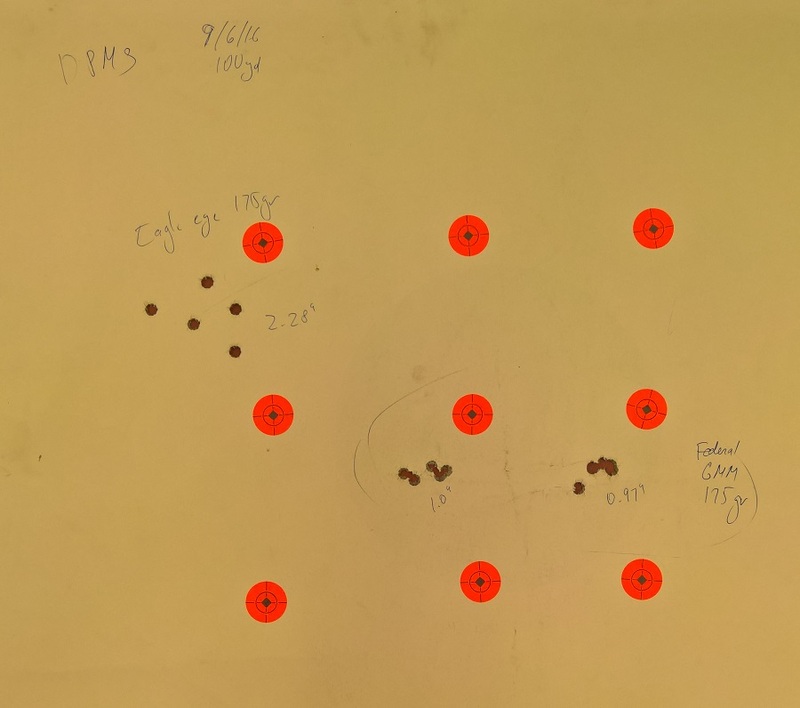 I had 5 rounds of Federal Gold Medal Match with 168gr Sierra Matchking bullet, and this is the 0.53" group you see in the center. 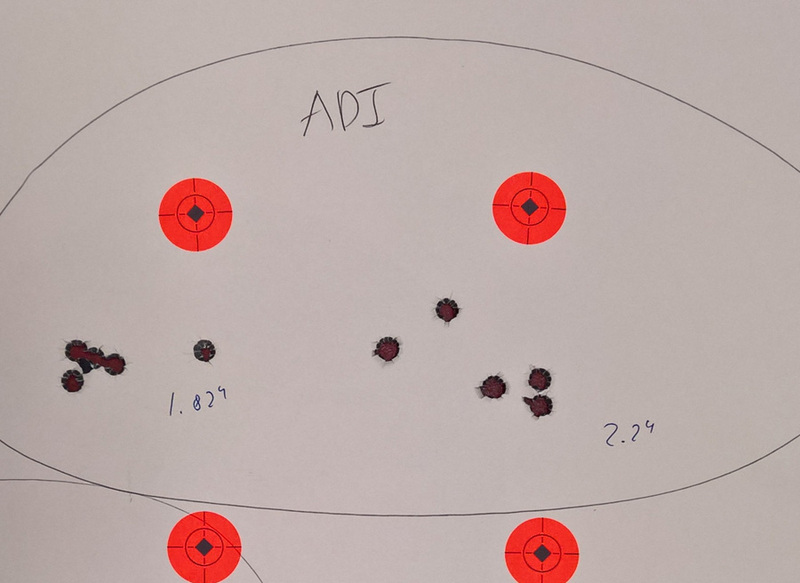 I suspect the rifle was made for this round - but of course one group is not statistically significant. I did have a box of Eagle Eye 308 and a box of Federal Gold Medal Match - both with 175gr bullets. 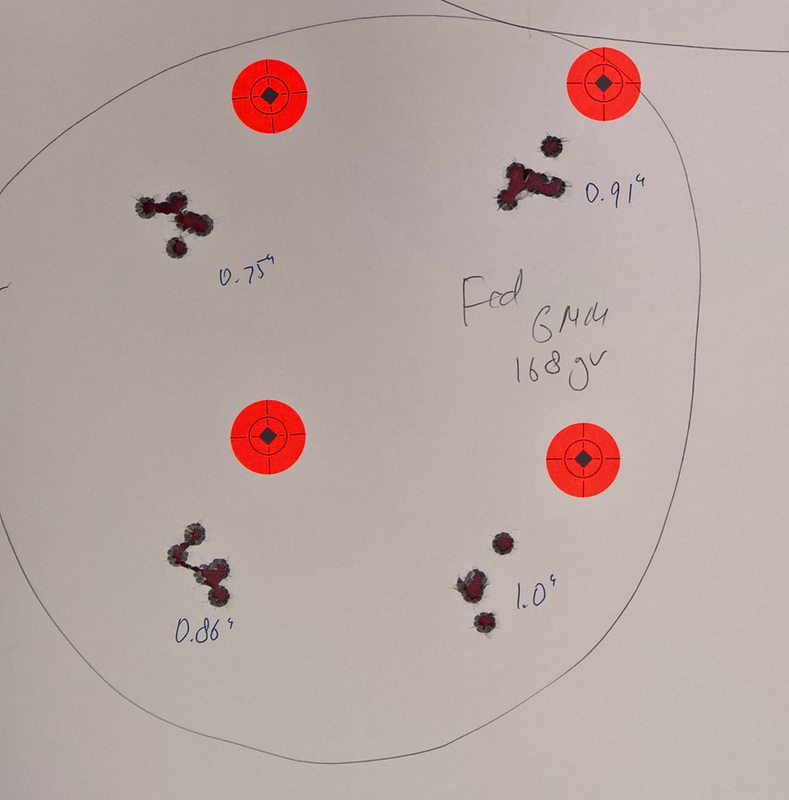 Federal was still very accurate, but Eagle Eye did not feel right, was not accurate - and the cases had ruptured primers and other signs of overpressure. This time I had ammunition for which apparently the rifle was made - Federal Gold Medal Match with Sierra Matchking 168gr bullet. 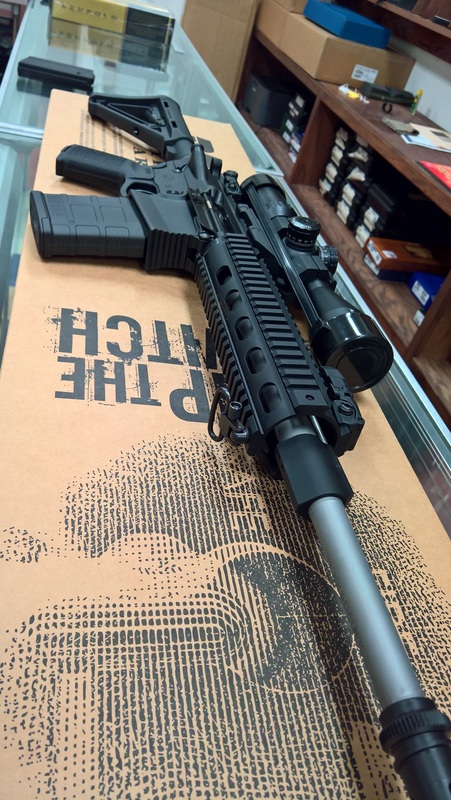 This ammunition is widely considered to be golden standard of target shooting - many rifles are literally made for it - including this one. 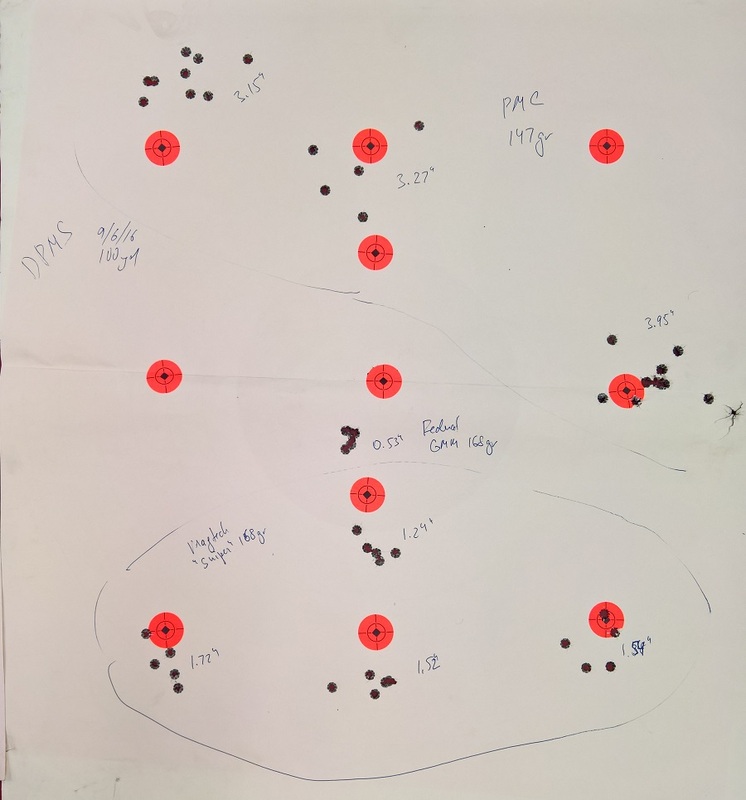 The results were stunningly accurate - groups of five at 100 yards yielded 0.75", 0.91", 0.86", and 1.0" - pretty similar results when shooting factory ammunition from a bolt action gun. Normally when I get this in, say, a Savage with Federal GMM, I can get reliable 0.5" groups with handload. Which for a semiautomatic is fantastic. 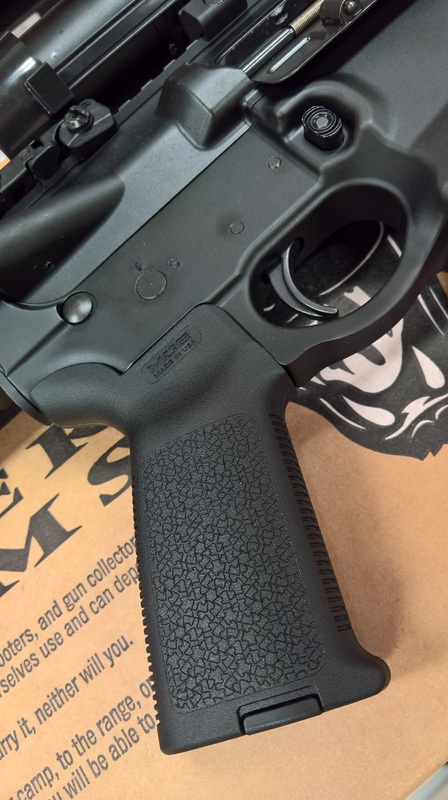 Just for kicks, I tried ADI Outback ammunition. It didn't do nearly so well. In the end I am very pleased with the rifle. It is compact yet amazingly accurate wiith match factory ammunition - and I expect to get even better results from reloads. 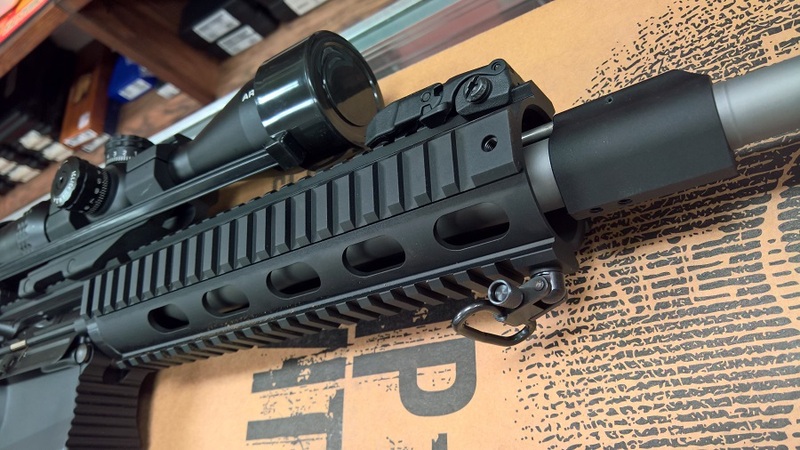 By AR-10 standards it is also pretty inexpensive. Strongly recommend!